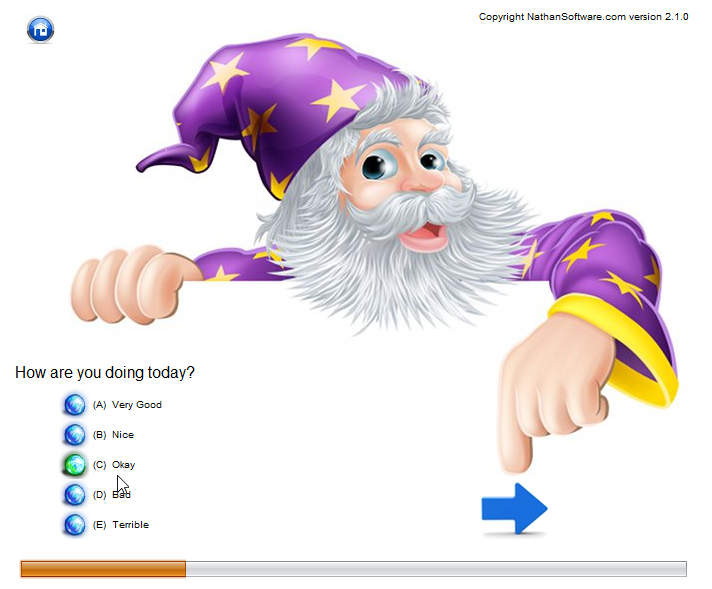 The Easy Survey Creator application is a free, quick, and powerful survey creator and presenter. 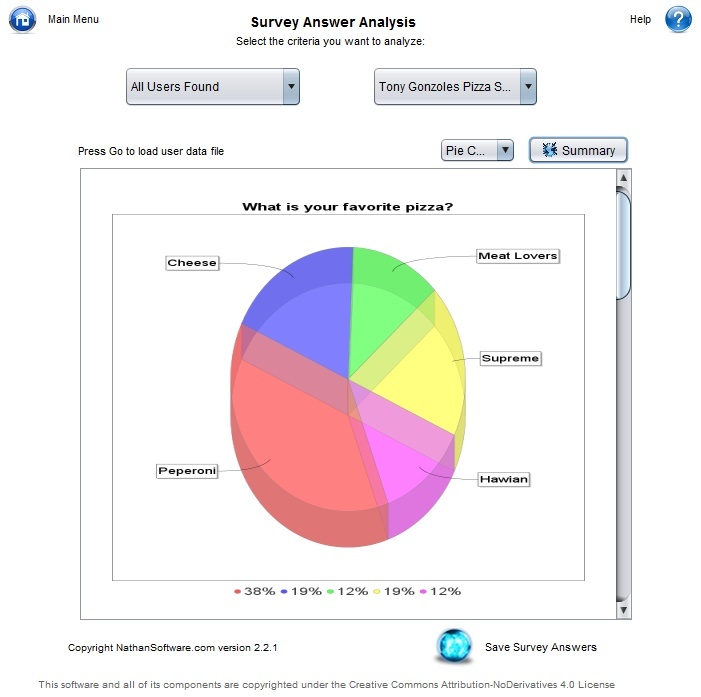 This program contains tools to create, conduct, and analyze surveys. 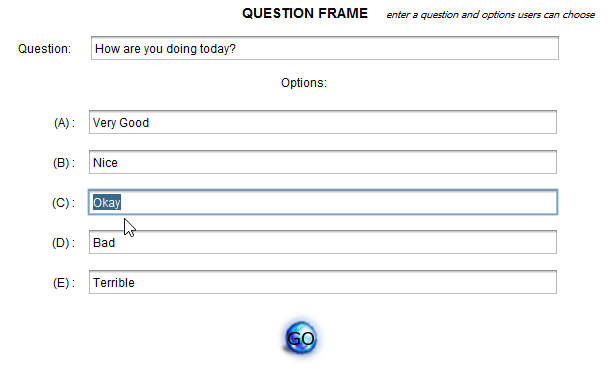 The Easy Survey Creator allows for quick creation of surveys with infinite questions, each with a varying number of answers. 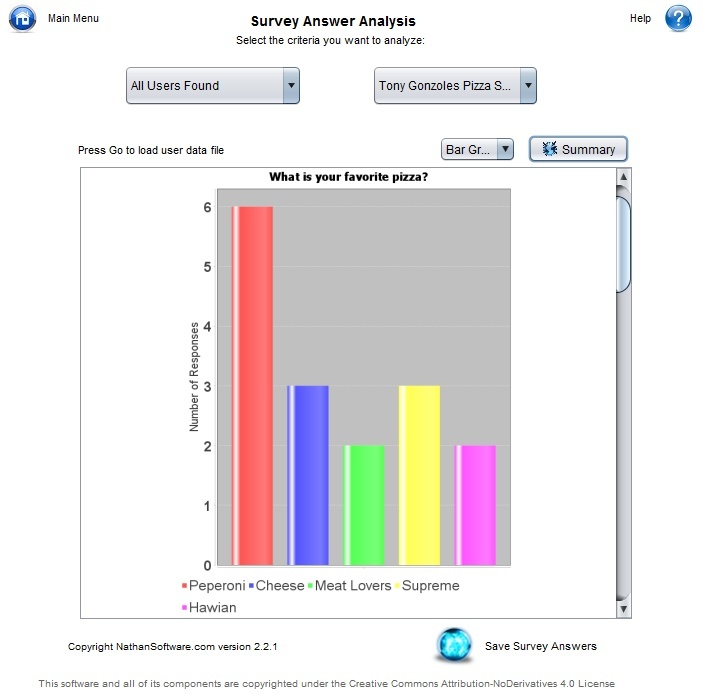 Aimed at allowing teachers to easily create multi-choice surveys for students, this program has an easy-to-use interface with many tools and options. The Easy Survey Creator is now also available for android. The Easy Survey Creator App version runs on android devices so you can take your surveys with you! See Slideme.org for more details about the Easy Survey Creator for android.